Following previous reports that Microsoft Corporation (NASDAQ:MSFT) was about to address Windows 8’s biggest weaknesses by adding a new option in to boot directly to the desktop and possibly bringing back the Start Menu, The Verge is following up with a renewed round of speculation with some new details about Windows 8.1. However, Microsoft Corporation (NASDAQ:MSFT) might not be bringing back the Start Menu that users have come to know and love over the past nearly two decades. Instead, the software giant might just be splitting the difference. 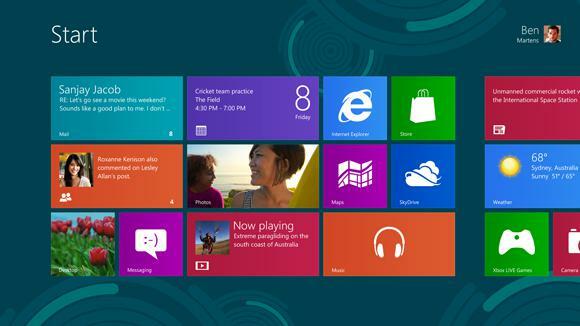 One of the biggest criticisms of Windows 8 among average consumers is its jarring and unavoidable shift to the new “Metro” interface that utilizes live tiles. Technically, Microsoft Corporation (NASDAQ:MSFT) lost the official naming rights to use “Metro,” but that hasn’t stopped casual references to the new interface paradigm. Instead of bringing back the Start Menu in its traditional form, Microsoft is reportedly adding a Start button that simply transports users to the Start Screen. 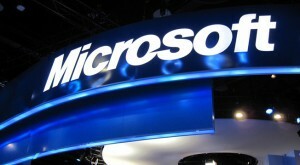 The Verge’s sources say that the Start button will bear Microsoft Corporation (NASDAQ:MSFT)’s new modern Windows logo. Currently, the primary way to get from Desktop mode to the Start Screen is the Windows keyboard button that was previously used to open the Start Menu. If these rumors prove accurate, Microsoft Corporation (NASDAQ:MSFT) would be trying to meet disgruntled users half way, offering an interface element that they’re clamoring for but without the functionality they desire. The company is trying to force the Metro interface on people, even after abundant data shows that it’s not resonating with consumers. Third-party alternative Pokki has garnered considerable interest by effectively bringing the Start Menu back. I’ve given Microsoft credit for taking a needed risk, and I’m personally a fan of the live-tile approach. However, the mainstream is where Microsoft needs to focus, and the mainstream is exactly where Metro is failing. The article Microsoft Splits the Difference originally appeared on Fool.com and is written by Evan Niu, CFA. Fool contributor Evan Niu, CFA, has no position in any stocks mentioned. The Motley Fool owns shares of Microsoft.